Mobile Patient Combilift - TR 9650 | H.S.-medplan Kft. 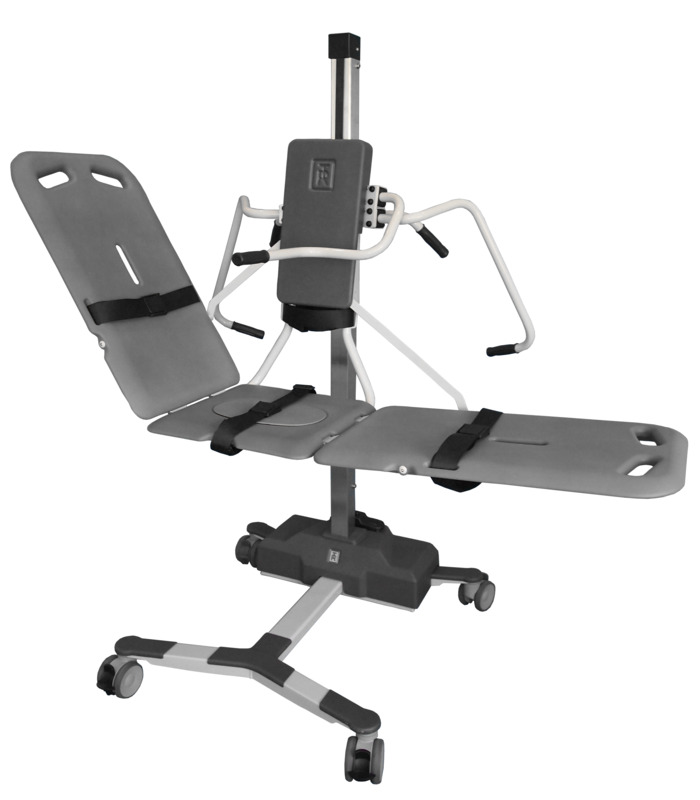 The TR 9650 mobile patient combilift easily converts the patient lift from a stretcher lift to a chair lift or visa versa without any tools required. Thanks to the rechargeable batteries with high power and the belt driven device, the lift runs gently, safely, quietly and operates free from sudden movements. 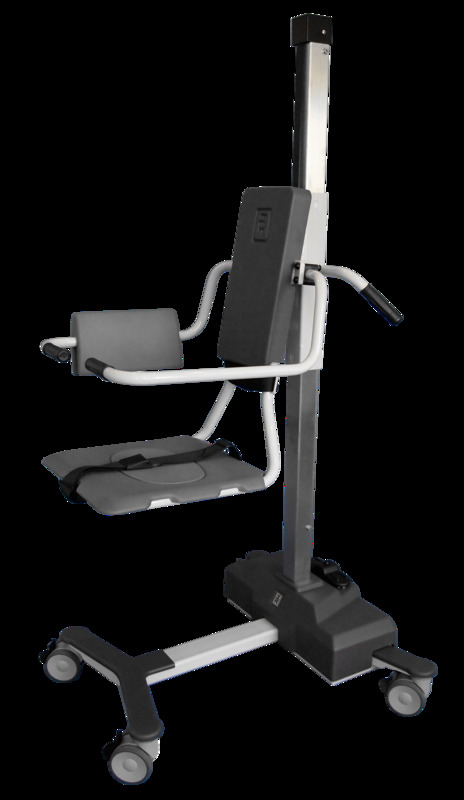 The chair lift simply lowers to floor level for an easy person pick up. The lift is foot operated to give the attendant both hands free to tend the person.